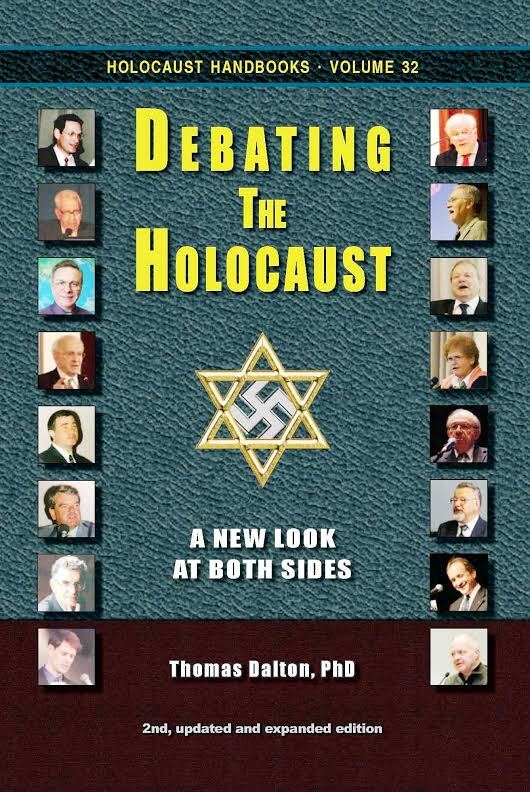 This is a book about the Holocaust, and about two competing views of that event. On the one hand we have the traditional, orthodox view: the six million Jewish casualties, the gas chambers, the cremation ovens and mass graves. Traditional historians have thousands of surviving witnesses and the weight of history on their side. On the other hand there is a small, renegade band of writers and researchers who refuse to accept large parts of this story. These revisionists, as they call themselves, present counter-evidence and ask tough questions. They are beginning to outline a new and different narrative. Thus there has emerged something of a debate -- a debate of historic significance. This is no peripheral clash between two arcane schools of thought, regarding some obscure details of World War II. It is about history, of course, but it also speaks to fundamental issues of our time: freedom of speech and press, the operation of mass media, manipulation of public opinion, political and economic power structures, and the coercive abilities of the State. It is an astonishingly rancorous and controversial debate, with far-reaching implications. The Holocaust was one of the most important events of the 20th century. It’s also an event surrounded by controversy and mystery. Have key witnesses either falsified or greatly exaggerated important aspects of their stories? How did authorities establish as fact that ‘six million’ Jews died? Why is it so hard to find a breakdown of the ‘six million’ figure? Why are there such large differences in expert estimates of Jewish deaths at the main camps? How could major death camps, like Belzec, Sobibor, Chelmno, and Treblinka, vanish without a trace—along with the remains of most of their alleged victims? How practical is it to rapidly kill masses of people using cyanide gas? Or using the exhaust gas of diesel engines? Why has no one found a ‘Holocaust order’ from Hitler authorizing the mass murder of the Jews? Why do wartime air photos fail to substantiate the traditional account of events? Why are there, even today, so many survivors? A monumental debate is currently raging on these issues, but it is largely hidden from sight. Here, for the first time, all the main arguments are discussed and examined. Here, the reader can be his own judge.